A regular on San Diego's Puke HIll, Te-Hina Paopao has impressed even Kelsey Plum with her workout routine. "Kels, you want to jump in this drill really quick?" Everyone in the gym, including 10-year-old Te-Hina Paopao, easily the youngest one there, knew exactly who coach Terri Bamford was talking to. That would be Kelsey Plum. Plum before she became women's college basketball's all-time leading scorer. Plum before she became the No. 1 pick in the 2017 WNBA draft. Plum, whose silky 3-point shot had already elevated her to hoops royalty. "Te-Hina doesn't have a partner," Bamford called out to Plum, who was back at La Jolla Country Day School (California) shortly after her high school graduation. "Can you go with her?" "Sure," Plum said, settling into a "Dummy D" stance to guard Paopao. She'd have to turn Paopao as many times as possible until half court before going one-on-one. Plum vs. Paopao. 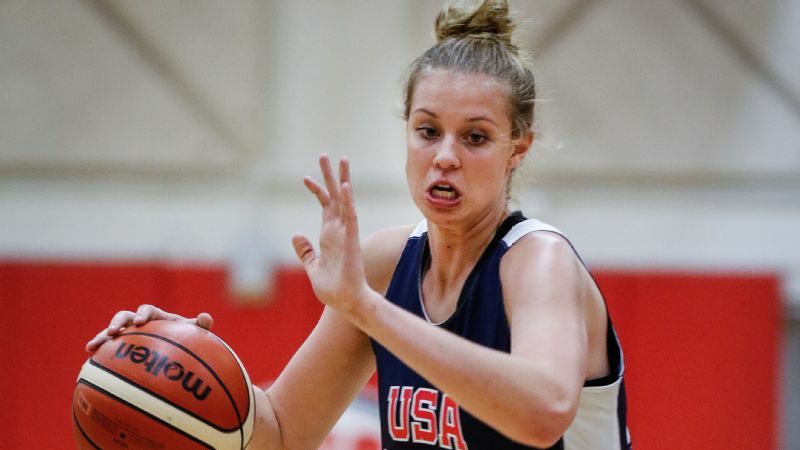 I think she could start in the Pac-12 right now. Plum didn't really see it that way. She didn't bother to tie the laces of her blue Nike Hyperdunks. "Of course I'm thinking, 'I'm just gonna hurt the kid,' " Plum said. "I'm trying to be nice to her." But Paopao, playing up with 16U girls all season, wanted to show out -- even as her hands shook. Dribbling with her right hand, the sixth-grader busted an in-and-out move before crossing over to her left hand, exploding past her hero to score on the other end. "OK, OK," Plum said, smiling as the gym erupted. "You got me." Plum stopped laughing, tied her laces and switched to offense, blowing by Paopao for the layup. 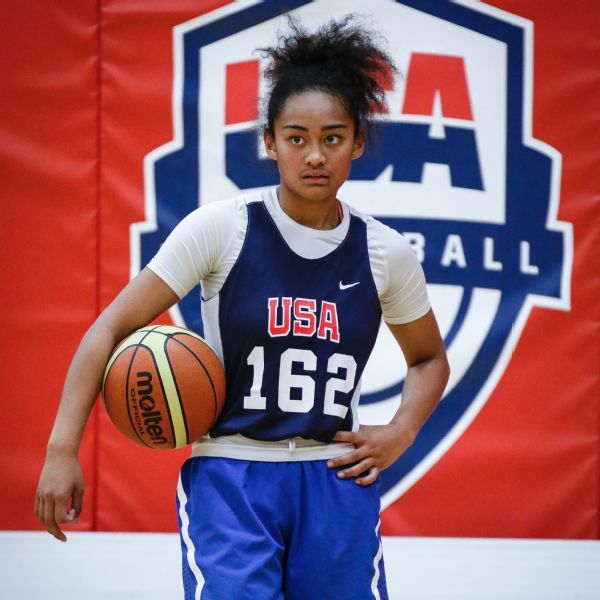 But it was clear that Paopao, now 14 and one of the top point guards in the class of 2020, was next in a long line of greats from the area, from Plum to Charde Houston to Candice Wiggins to Destiny Littleton. "She's just never scared. It's like a fearlessness but a confidence that she has," Plum said. 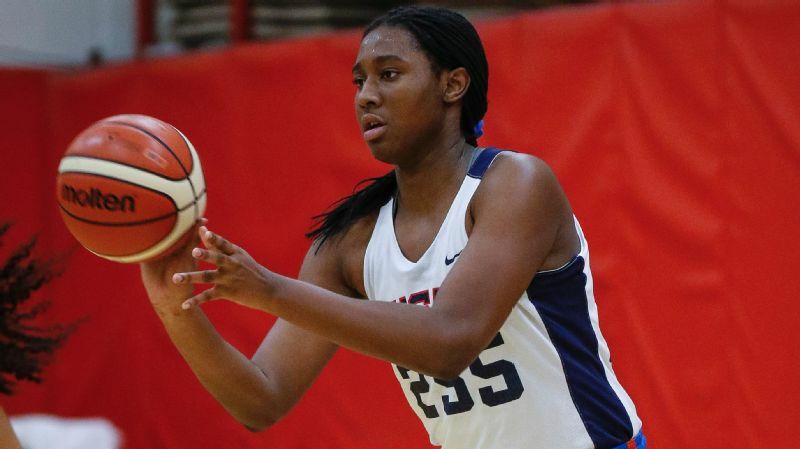 "I think she could start in the Pac-12 right now. "Honestly, I think she could be the best to come out of San Diego." 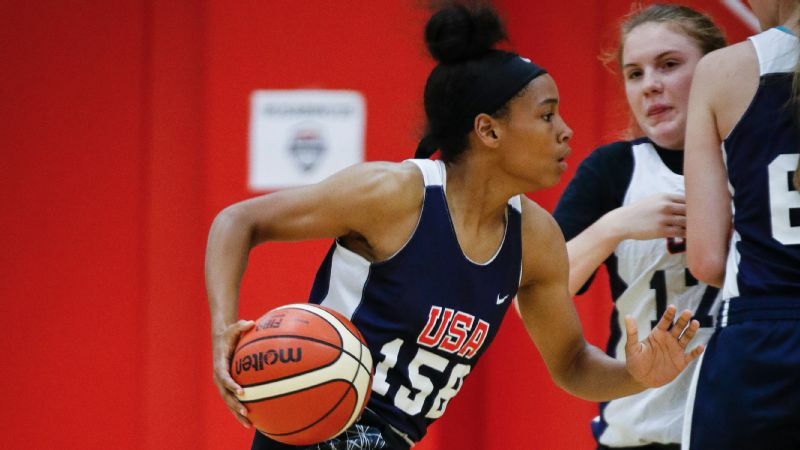 Paopao, La Jolla Country Day's 5-foot-9 floor general, who has secured dozens of Pac-12 offers and who narrowly missed the final cut for USA Basketball's U16 national team, doesn't care who she's up against. 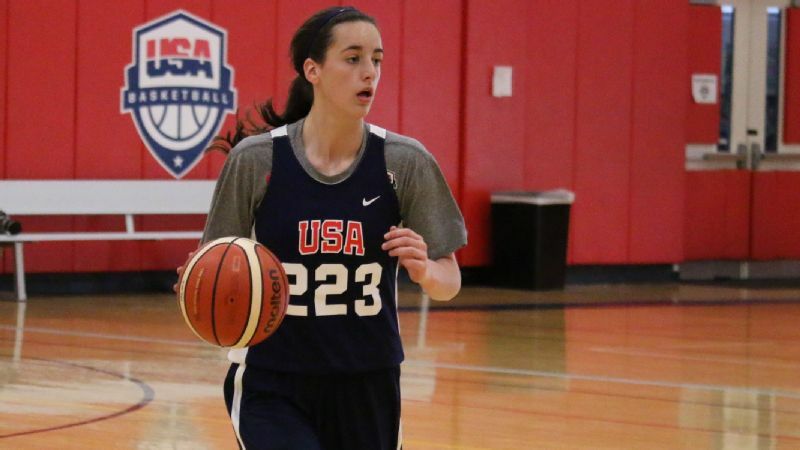 She'll attack the rim or finish with a floater, or push in transition and drop dimes on a whim. She'll never tug on her jersey to ask for a sub. "If you're on my team, we have to win," Paopao said. "You just have to have that mindset that you only take dubs." Growing up, she understood the game in ways other kids didn't. Bamford once showed her the flex offense, full of nuances. Minutes later she ran all of the options immaculately. She didn't just understand where to pass -- but why. "It was amazing. To command a high school team at 10 years old?" Bamford said. "She sees mismatches on the floor like a coach would see." 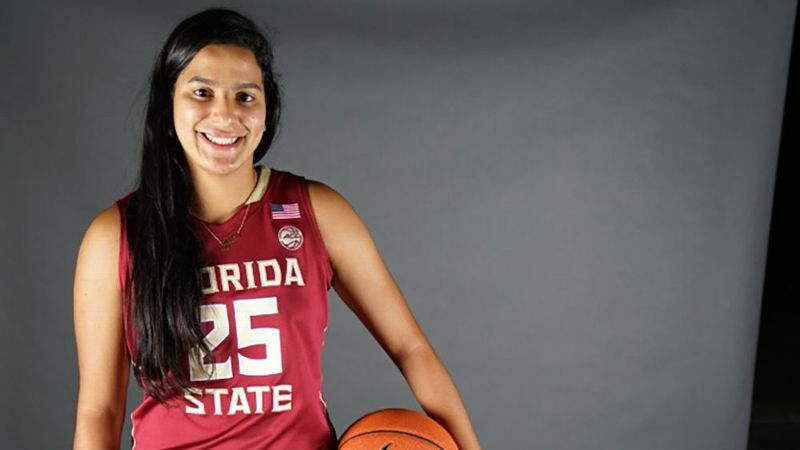 Te-Hina Paopao didn't let a torn ACL keep her down for long. Her father, Paul, would place objects in front of her at age 5, like a stethoscope, a soccer ball, a basketball and even a Hostess Ding Dong. "She would always grab the basketball," Paul said. By 7, she battled her siblings in one-on-one: her two older brothers, Israel ("Tofi") and Isaia, both football players; her older sister, Tiare; and younger brother, Iosefa. Isaia ripped her and blocked her shot nearly every possession, and she'd cry, but she always returned the next day to tighten her handles. By 9, she regularly sprinted up and down Puke Hill, a trail in Torrey Pines so challenging even the late great Junior Seau and current San Francisco 49ers general manager John Lynch trained there. Paopao once ran up and down twice in a row, crying of exhaustion. Paul told her to stop, but she wiped her tears and zoomed up the hill a third time. 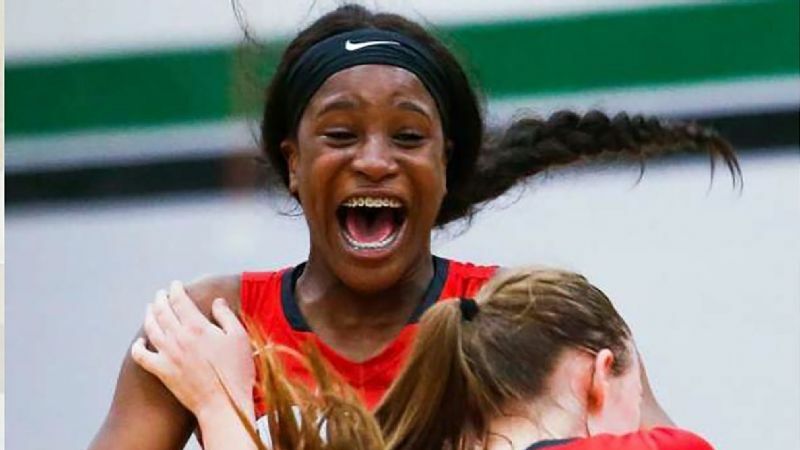 The middle-schooler crossed up high-schoolers on the AAU circuit for Wiggins Waves, generating high expectations for her freshman season. Then, at an open gym at the start of the 2016-17 season, she landed on a bystander near the baseline after scoring a layup and tore the ACL in her right knee. "At first, I was broken by it," Paopao said. "I was like, 'I probably won't come back for like a year.'" She vowed to recover by playoffs. That sounds crazy because it is; a lot of ACLs take a year, if not more, to heal. She rehabbed six days a week at Egoscue in Del Mar and EXOS in Carlsbad, and returned to the court four and a half months later (For the record, that beat Isaia's return from his own ACL tear by two weeks). "It's pretty unheard of," Bamford said. Paopao, who had six assists and eight points in her first game back, eventually helped LJCD advance to the second round of state playoffs before falling to Windward 52-34. "All of those setbacks turned into mental toughness, this inner drive," Paul said. "Like, OK, I might have lost this one, I might have torn this, but the way I come back is going to be better." Now that star Alaysia Styles is at Cal, Paopao is ready to take the reins at LJCD this season. "It's not very often you can get a great leader like that, where every kid on our team wants to play for her. Every kid on our team wants to cheer for her," said Bamford, who mentioned Paopao is about 70 percent healed right now. "That's a special quality." Paopao doesn't consider herself special. She doesn't even know how many Division I offers she has collected. She thought this story was a "prank" at first. Plum, back in town from Washington one summer, took Paopao to Oceanside High School at 5:30 a.m. The gym was locked, so the two shot hundreds of jumpers -- coming off screens and coming off the dribble -- on a nearby blacktop court. Paopao, then a seventh-grader, was covered in dirt, and could barely breathe, but kept draining trey after trey. "Even to this day, when I go back, that's the only kid I would let work out with me, because she can hang with the intensity," Plum said. 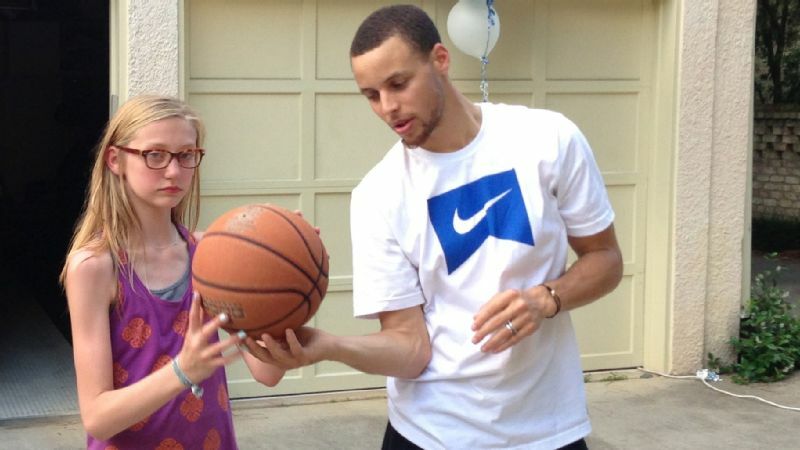 "She pushes me because I'm like, 'I can't let a 12-year-old beat me in this shooting drill.'"